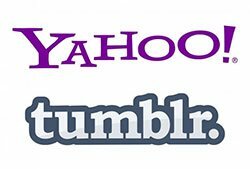 Yahoo Snatches Up Tumblr – Promises Not to Screw It Up! Yahoo announced this week that it is buying blogging site Tumblr for $1.1 billion. Do not worry, Tumblr fans! Yahoo pinky swears that it is not going to screw it up. The deal is going to help Yahoo grow its audience in the teen and 20-something demographic. However, some Tumblr fans are worried that the site could now be bombarded with ads that rake in billions each year for Yahoo. Tumblr CEO David Karp long resisted traditional ads on his website. In response to such concerns, Yahoo has stated that Tumblr will be operated independently with Karp staying as CEO. Yahoo CEO Marissa Mayer posted her very own Tumblr post to try to reassure the fans of the site that there is no need to freak out. Mayer referred to the deal as a serious game changer for Yahoo, but she noted in a call with investors that there would be no Yahoo branding of any kind on Tumblr. Mayer made a comparison with some of the more successful acquisitions in the past, such as when Google bought YouTube, which may not stay free forever, and when eBay bought Paypal. Meyer said in those cases, the purchases caused virtually no difference in usability for users of the sites. Right now, Tumblr has 300 million unique visitors each month and 120,000 new signups per day. Even with all that traffic, much of the content is not necessarily ideal for advertisers. Tumblr does not know the actual identities of its users, and some of the content on the site is adult oriented. These are things that some advertisers will be turned off by. Still, Mayer sees a major upside for Yahoo with the deal. It’s the biggest move she has made yet in her year on the job as Yahoo CEO.